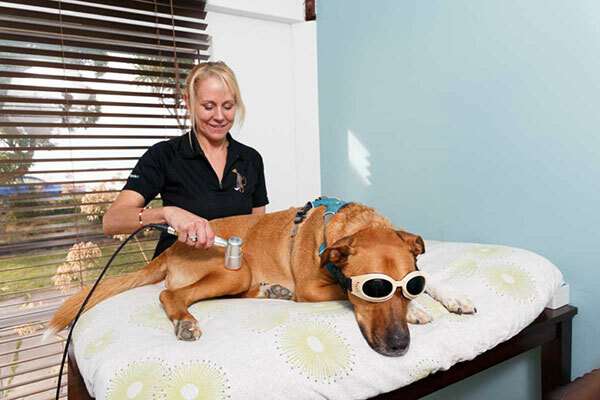 AnimalFisio is owned and operated by Kirsten Gollan. Kirsten grew up in Guernsey in the UK. A keen interest in animals and sports led her to complete a degree Veterinary Physiotherapy. Kirsten gained a degree in Physiotherapy before going on to specialise in Animal Physiotherapy. She completed a Masters degree in Veterinary Physiotherapy at the Royal Veterinary College, London. Since that time, she has been working as an animal physiotherapist in the UK and New Zealand. At AnimalFisio, we specialise in the treatment of muscular, skeletal and neurological injuries to animals throughout the Waikato. We work in association with veterinary surgeons to provide an assessment and appropriate treatment plan for your animal, whether they’re a family pet, sport animal or working dog. We offer therapy for your animal to improve their way of life. The most common areas of treatment are performance enhancement, treatment of musculoskeletal injuries, post-operative rehabilitation and enhancement of quality of life for animals with degenerative conditions. We can help with the rehabilitation of your animal and have experience with a number of conditions. We use a wide range of treatments and techniques depending on the needs of your animal. Your animal will be assessed and an individualised treatment plan will be created to suit. We offer Pulsed Electromagnetic Therapy treatments for your horse to support performance and aid rehabilitation. Top-of-the-line Activo-Med pro products are used to provide effective PEMF and cyclonic massage treatments from the poll to the tail. Call us on 027 392 1232 or book an assessment to find out how your animal can benefit from physiotherapy. Over six years’ experience both in New Zealand and UK treating a wide range of animals. Do I need a vet's referral for my animal to receive physiotherapy? No, anyone involved in the animal’s care can refer for physiotherapy. Your vet, however, may be consulted in order to ensure your animal receives the appropriate treatment. Do you only treat performance animals? Not at all! We do mainly tend to treat performance horses, but we treat all types of dogs. Whether they’re your at-home pet or racing on a track, we can help. Treatment usually takes one hour. Do you only treat horses and dogs? Horses and dogs are our main specialties, but we do treat more than that. If you have another animal that needs attention, get in touch for a consultation and we would love to help!